Dr. Kasten was born and raised in Westbury, Long Island. He is a Board Certified Ophthalmologist specializing in the practice of comprehensive ophthalmology. He has particular expertise in cataract surgery and in the implantation of premium intraocular lenses as well as the treatment of Dry Eye. Dr. Kasten received a Bachelor of Science degree from Indiana University in 1977, and graduated from New York Medical College in 1982. He completed a medical internship at Worcester Memorial Hospital in Worcester, Massachusetts, and served a residency in ophthalmology at New York Medical College. Dr. Kasten is a fellow of the American Academy of Ophthalmology and a diplomate of the American Board of Ophthalmology and has been in private practice in South Palm Beach since 1987. 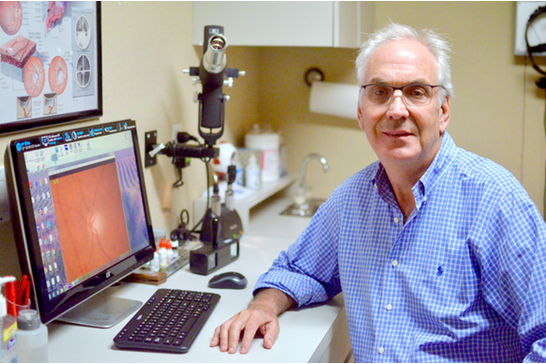 Dr. Kasten utilizes all of the different premium intraocular lenses including the Crystalens, Toric lenses, as well as the Tecnis and ReStor multifocal lenses and has performed thousands of premium lens implants. He has been performing Laser Cataract Surgery since 2014. Dr. Kasten has a number of interests and hobbies. He is a 3 handicap golfer and creates beautiful sculptures that are works of art.